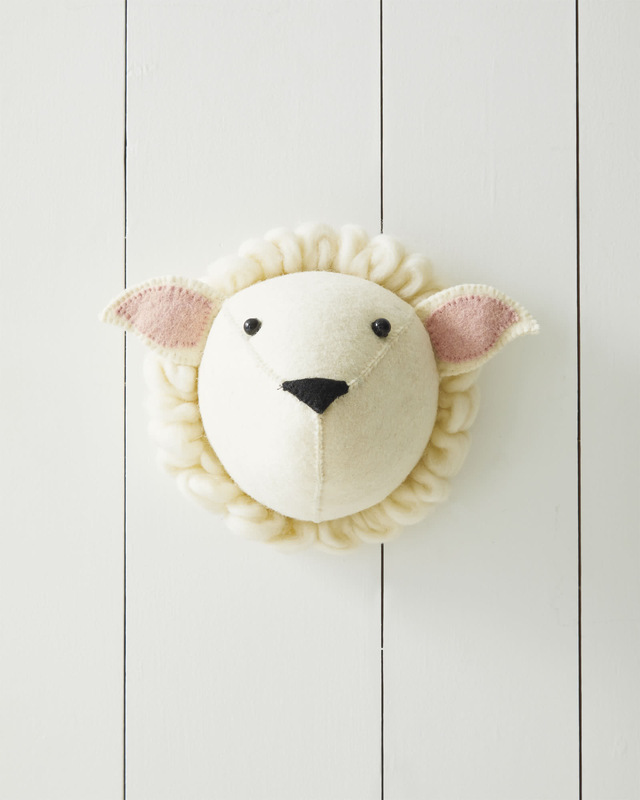 Felted Wool Wall Animal – SheepFelted Wool Wall Animal &ndash; Sheep, alt="Felted Wool Wall Animal &ndash; Sheep, "
Print This décor is playfully wooly, in more ways than one. From the hand-stitched details to the super soft, organic lambswool, this felted sheep brings well-crafted whimsy to the room. Lightweight and easy to mount on the wall. Overall: 10"W x 10"L x 8"D, Base: 6 1/2"DIAM.